English Monarchs - A complete history of the Kings and Queens of England. This site is designed to bring to life, as vividly as possible, the history of the Kings and Queens of England from Egbert, first King of the English, who reigned 802-839 A.D., through over a thousand years of the rich and varied tapestry of England's history to the throne's present occupant, Elizabeth II. It contains a short biography of each English monarch along with many illustrations, maps (where applicable) and genealogical tables, in an easy to follow format arranged by dynasties. We also take a look at the Tower of London, the Crown Jewels and the royal residences. This history covers all England's early Anglo-Saxon and Danish kings, including Alfred, the only English monarch ever to be called the Great. Our section on the Normans includes the tumultuous events of 1066, which changed the course of English history. The reign of the stark and ruthless William I, the Conqueror and the Civil War which engulfed England as two of his grandchildren, Stephen and Matilda, became locked in a bitter struggle for the crown. The Plantagenets, who followed the Normans, were a remarkable family, they produced such characters as the energetic Henry II, arguably one of the ablest of English Monarchs and his son, the legendary Richard the Lionheart who led the Third Crusade into the Holy land. The Plantagenets finally destroyed themselves in a bloody dynastic struggle which we know of as the Wars of the Roses. This section also looks at the evidence and historical controversy as to whether England's last Plantagenet monarch, Richard III, actually murdered his nephews, the so-called Princes in the Tower, to gain possession of the crown. Our history of the Tudors includes that best known of English Monarchs, the tyrannical and bloodstained Henry VIII, who is famous for marrying six wives and executing two of them. His great daughter, Elizabeth I, highly astute and wily she survived an appalling childhood and adolescence to emerge as the ablest of the Tudors and led England to victory over the Spanish, the greatest power of the age. Our history of the Stuarts, that highly romantic but luckless dynasty, who were to rule over the joint kingdoms of England and Scotland includes, amongst much more, the English Civil War, the execution of Charles I by Oliver Cromwell and the Restoration of Charles II, the Merry Monarch, famous for his many mistresses and his long liaison with Nell Gwynne. It also contains a section on the Stuart Pretenders, one of whom was the courageous but impulsive Bonnie Prince Charlie. Our biographies of the German Hanoverian dynasty includes an examination of the madness of George III and puts forward modern claims that he suffered from a metabolic condition, porphyria. This section of our history also covers the long reign of that endearing if stubborn British Monarch, Queen Victoria, which saw Britain rise as a world power. 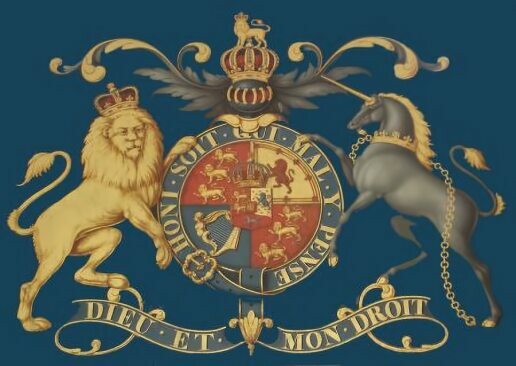 Last but not least our history culminates in the story of Britain's modern day dynasty, the House of Windsor (formerly Saxe-Coburg-Gotha). We take a close look at the large family of Queen Victoria and the eight of her grandchildren who sat on the thrones of Europe. This section also includes a page on the popular Diana, Princess of Wales and the the enquiry into her tragic death.